6 juices/day for as many days as you’d like to cleanse. Give your liver and digestive system a break while infusing your cells with the nutrition they need to propel you to the top of your game. 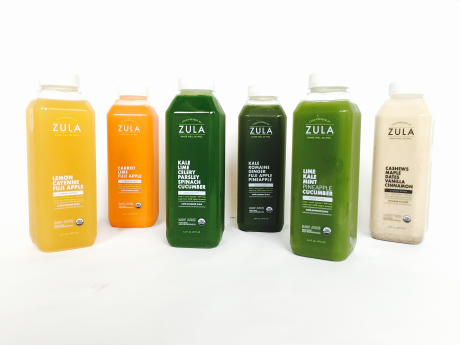 Features our three signature greens – Green Glow, Green Flood and Daily Detox – to maximize chlorophyll infusion. Unpasteurized to retain enzymes, phytonutrients and antioxidants, our juices + cleanses are HPP free and contain no artificial preservatives, colors or flavors. I just finished a 5-day cleanse and totally loved it – I felt energized and focused all day, not hungry or overly tired, and unlike other juice cleanses I’ve tried this one didn’t cause heartburn. Awesome! I’m doing another one next month! PS: Loooooooove that carrot juice.